8 and 10 year old children declared dead at the scene of explosion. Cause of explosion unclear. 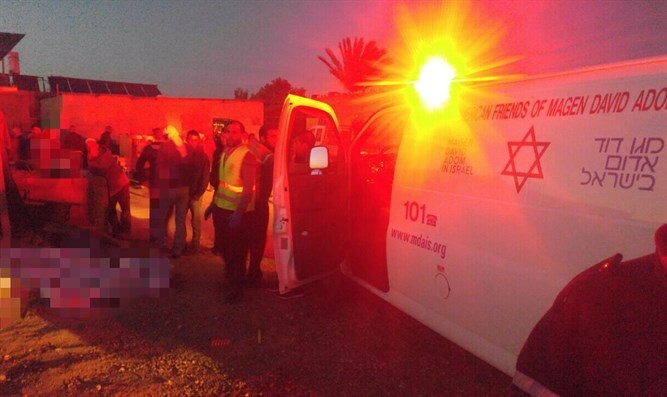 Two children, ages 8 and 10, were killed in an apparent explosion in an illegal Bedouin village near Route 25 in the Negev Tuesday evening. Hospital and MDA paramedics summoned to the scene reported that the children were dead when they arrived. The police said the cause of the explosion was not yet clear and that police were in the area and had begun investigating the circumstances of the incident.